Target--Getting Ready for Black Friday--Black Friday Shopping on Tuesday to Avoid the Rush. I am just back from our trip to Target to pick up this weeks movie deal. 30 Minutes after the store opened, they only had ONE Santa Buddies left. I got a raincheck for the Giveaway or will head over to Walmart and see if I can find one. We noticed that they were putting all the toys for the upcoming Black Friday Ad on the end caps. I had already seen the ad scan for the toys so I knew. I verified with Customer Service the conditions for honoring the price if I bought things ahead of time to guarantee I get what I need. (They will not honor anything with a Gift Card Attached, those have to be bought during the right days). As long as I bring in my receipt during the advertised time (early bird) or on the Friday or Saturday regular ads they will price adjust. (I don't have anything with a Gift Card on my list so I can get Target out of the way for the rush opening hour. 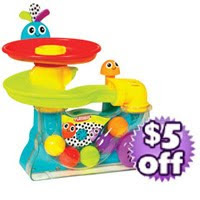 Target has Leapster Games for $15.00 less my $5.00 Leapster game coupons from Parents and other Parenting magazines = $10.00 on Black Friday. These will work well with the $5 and $10 systems I got on clearance a while back. I had printed off Clickster Games earlier this fall which will come in handy as Clickster systems are $19.99 and the games are $7.49 - $3.00 mfg. coupon from my binder = $4.49 each. Buy extra darts??? 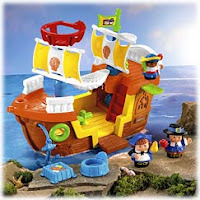 Use $5.00 coupon from Mc Donalds Nerf Happy Meal. I am posting a link to Target's Black Friday Sales Ad. I just went through the Ad and found what I needed, and our Target still is offering the Glade deal, so tonight we will be Black Friday Shopping on Tuesday night! Becca has another Animal Loving Deal and Giveaway for you. Santa Buddies is being released on Tuesday 11/24. **We have to buy a Turkey anyway!! Or FREE if you haven't already submitted for the Kernal Seasonings Rebate. 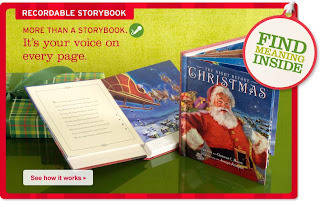 1) From Butterball $5 rebate when you purchase Santa Buddies & a whole Butterball Turkey (exp. 2/28/10) Also find rebate in 11/22 Smart Source Insert. Remember to use one of the many Butterball Coupons available. 2) From Kernel Seasonings $5 rebate when you purchase Santa Buddies & any 2 Kernel Season's products if you haven't already. Reminder: Don't forget to enter your Disney Points at Disney Movie Rewards and with a purchase of Snow White and Santa Buddies you can get two FREE Buddies. Buddies Trivia? Can you name all the Buddies? How many Buddies movies are there? 4--Air Buddies, Space Buddies, Snow Buddies and now Santa Buddies. Becca can as she has every one of their movies! Budderball, Rosebud, Buddha, Mudbud and B-Dawg. 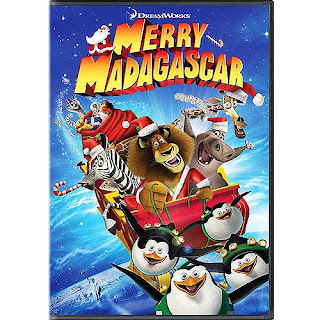 Becca's Giving Away a Santa Buddies Blu-Ray Movie. 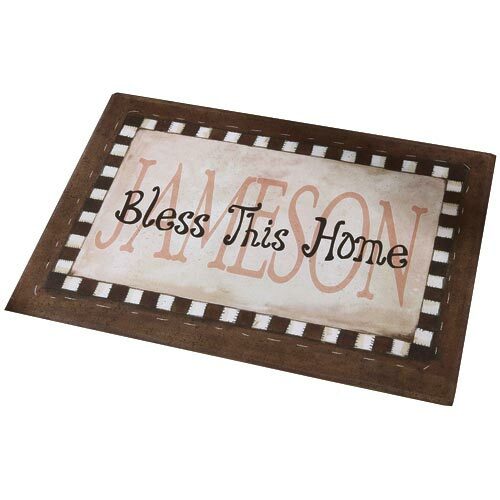 Enter to win by leaving her a comment. The Winner will be drawn 12/1 at noon Central time. 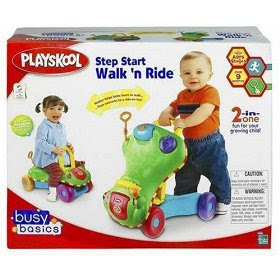 Walmart has the Playskool Walk and Ride on Rollback for $12.00. **Prices differ from one Walmart to another, but this deal is worth checking out. Becca has been obsessing about getting a touch screen computer since summer. 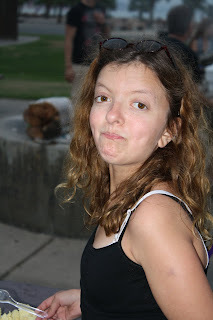 Becca has Noonan syndrome and Autism and I have heard all about this everyday for months. She has pictures of the touch screens posted on my refrigerator to remind me that she needs one. Another one on my bulletin board just in case I forget! This week she had researched more Touch Screens and decided that she HAD to get the new HP Touch Screen Computer and was told it is much better than the Dell one she USED to want. She is trying to save money for it but it will take well over a year for her to have enough from her disability checks. 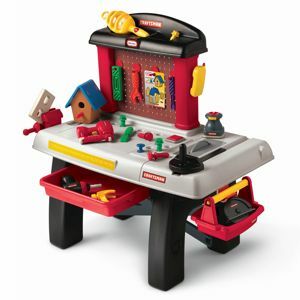 Santa does not have the budget for a high priced computer we told her. But that does not stop Becca from obsessing and asking her "angels" to grant her wish and praying for one. The computer is Becca's window to the world, she is having more and more trouble navigating the computer as her fingers, hands and elbows are getting contractures. The doctors want her in hand and finger braces to keep her fingers and joints from dropping and freezing in abnormal positions. The hand braces and the contractures will not allow her to use a mouse anymore and her elbows are contractures are worsening but reaching out to the touch screen will actually be good therapy to help her stretch them instead of having them bent and locked. She is slowly losing the use her her hands. Her neck is freezing and losing range of motion and she can no longer look down at the keyboard without dizziness and causing migraines. It won't be long before she will need a pointer to use on the screen to be able to navigate the web. But technology has always been Becca's best friend. They first put her on the computer to help her communicate when she was 2. That was the only time she ever liked therapy!! Becca cannot write, I have scribe by hand all her notes or type for her. She needs to have her independence. We will soon be heading to her appointment in Madison for adaptive technology for new software recommendations about which software, voice recognition, text to speech, word prediction software due to her severe learning disabilities coupled with her physical deformities. But it will cost a fortune and school took out all the technology out of her IEP despite the recommendations of the Rehab doctors, occupational therapy, physical therapy and the fact she had it back in Michigan. Becca has been obsessing about ALL week, I mean ALL....WEEK, many times a day she read me the specs, information on this computer. I even learned about HP's new touch screen printer her second request multiple times. My tiny daughter has expensive tastes. We cannot afford one this year, I told her and escaped to the bathroom to be able to not hear about computers. Tonight I was checking out some of my favorite websites, reading the new posts... and I couldn't believe it when I found that 5 Minutes for Mom is giving away the SAME EXACT computer Becca has been talking about ALL WEEK. Tonight I entered to try to win one for Becca. I am not lucky and don't ever win anything. But will try anyway. 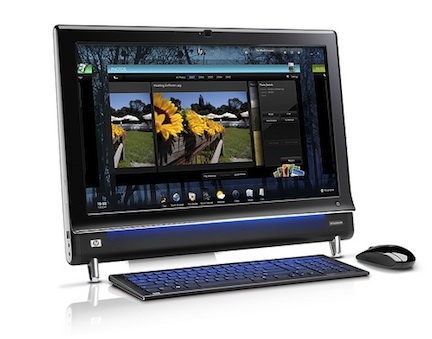 Check out 5 Minutes for Mom's HP computer giveaway, and try your hand at winning. They are giving away TWO. I am praying that I can make Becca's wish come true. Save $1.00 on any four (4) Campbell's Condensed "Great for Cooking" soups. 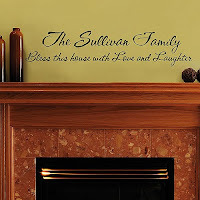 Save $1.00 on any two (2) cartons of Swanson Stock. Save $1.00 on any two (2) bags of Pepperidge Farm Stuffing. Save $1.00 on any four (4) Campbell’s Gravies. Save $1.50 on any three (3) can or microwavable bowl varieties of Campbell’s Select Harvest soup. Save $1.50 on any three (3) can or microwavable bowl varieties of Campbell’s Chunky soup. Save $1.00 on any two (2) packages of Pepperidge Farm Puff Pastry Turnovers. Save $1.00 on any two (2) packages of Pepperidge Farm Frozen Bread. Save $0.50 on any two (2) cans of Campbell’s Condensed Tomato soup. Save $0.50 on any two (2) Campbell’s Condensed soups (excluding Tomato, Chicken Noodle & Creams). Save $1.00 on any three (3) can varieties of Campbell’s Chunky soup. Redeem in March 2010. Save $1.00 on any three (3) can varieties of Campbell’s Chunky soup. Redeem in April 2010. Get Two Free Issues of Family Circle Magazine. Get a complimentary two-issue subscription to Family Circle magazine (March and April 2010 issues) and get the magazine of choice for contemporary women with families. Family Circle provides information on a variety of modern issues. Its feature articles focus on financial planning, food, health, beauty, fashion, planning family activities and helpful "how-to" tips. Follow this link http://www.valuemags.com/freeoffer/FamilyCircle-BBS.asp to find out how to get your complimentary two-issue Family Circle magazine subscription. Walgreens Coupon 11-22 and 11-23 $5 off $25. Stop by Walgreens on Sunday & Monday (11/22 & 11/23) with this printable coupon to save $5 on any purchase of $25 or more. Thank you to Coupon Cravings for this coupon. Now that my coupons are mostly organized, I will have to sit down with the Walgreens Ad to stretch $25.00 as far as I can. Check back Sunday for my Walgreens Shopping List. I will then submit for Flex Reimbursement for even more savings. A purple Sunday at my house. My purple gang here in Wisconsin. Another win for the Vikings. Morgan is all worn out cheering for her and Becca's team. Becca has discovered another use for her Build-A-Bear clothing, it fits her teeny tiny service dog. When she wears her Vikings jersey, they WIN. Make sure to check your USA Weekend to not miss this GREAT Hasbro Game Coupon which will make inexpensive stocking stuffers or two games to drop off for Toys for Tots for kids in need. 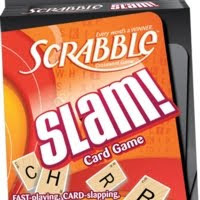 Included are Monopoly Card Game, Scrabble Slam,Little Pet Shop Go Fish, Rook, and Pictureka. Disclaimer: different papers may have different coupons than posted in my region. I can't walk into the store without checking for clearance. Todays jaunt at Walmart down the Halloween clearance aisle surprised me by finding Baby and Toddler costumes a plenty marked down to 90% off. 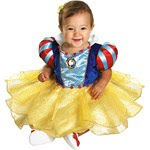 I couldn't resist this Snow White Costume (I think I may know what Mahala may be next year) regularly $20 for $2!! I grabbed a couple of the toddler costumes for a dress up box, Tinkerbell for $2, a clown for $1.30, a pirate for $1.30, a fairy for $1.70 and orange fairy wings for $.50. Those wings will fit with the orange and black pettiskirt I found to make for Miss Kasja for next year. I found another great Walgreens Deal going through my coupon binder. I had found Buy One Get One Free Halls Coupons at Kmart and was waiting for a Walgreen Halls sale. There are several holiday scents available, so be on the lookout for Apple Cinnamon, as well as Bayberry Spice and Homemade Gingerbread, both of which are limited editions. 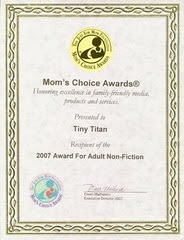 Remember you can buy 3 or 4 more, and submit them for the Glade Rebate Deal. I thought I remembered seeing coupons inside my Glade candle holders (the ones I bought last year). I ran down to my stockpile and fished out the coupons to be surprised that they were going to help me really sweeten the Target Glade Deal. I found 4 holders had coupons for $2.00 off any Glade Scented Oil Candles Holders along with a coupon for Buy 2 Candle Refills Get One Free. New Glade Coupons to Use at Target new Glade printable coupons available from Right@Home. Get a $5 Target GC when you buy 5 select Glade air care products. Pay $6.50 and Get a $5.00 Gift Card to roll onto your Movie Deal. Remember to submit for the $5 SC Johnson mail-in rebate. You can do this 3 times. substituting this deal for a FREE movie after rebates and inexpensive food products. Take your Kmart Ad to Target and Price Match Pictureka Flipper and Clue Secrets and Spies $14.99 each. Use both Target $5 Here and Man $5. There are two tabs on the DVD to use to submit for rebates and will allow copies of receipts. Buy UP and 2 Kernal Seasons products and get $5 back via mail HERE (There are $1/2 Kernal seasons coupons HERE and HERE – 2 Kernal seasons seasonings will total about $1.98 at WM after using 2--$1.00 coupons). Buy UP and 2 Bird’s Eye Voila Meals and get $5 back via mail HERE. Remember to use coupons on these items to bring down the cost of the deal. Each year when we head to the Cardiologist, my fears begin to surface. She goes to the heart doctor on Thursday. I know that I have absolutely no control over anything that happens with my miracle daughter. 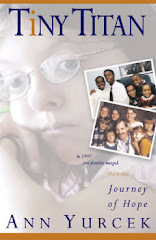 When I was given a daughter who had absolutely no prognosis, no hope, and a failing heart, it breaks a Mother's Heart. No wonder why a few days before our visit each year, I begin to toss and stir in the night and my mind begins to wander. So I started my Thanksgiving gratitude posts. Having to watch your daughter with a stilled heart and the screen on the monitor shows no beating heart and the miracle of its return is something no Mother should ever have to face, not just once, but thrice. Hearing the words "congestive heart failure", "thickened heart", "DNR", and "hospice". 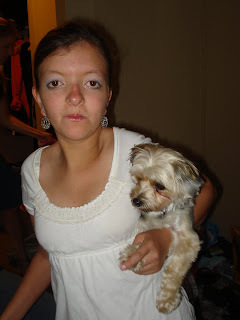 For those who do not know our story, my youngest daughter Becca was born with a severe form of Noonans syndrome, she had many medical problems, many severe, but her heart was the worst and every year the Noonans syndrome family lose precious severely ill babies to their bad hearts. We were destined to say goodbye to Becca, but she proved too stubborn to give up. God had great plans for Becca's life and its impact. Becca had severe pulmonary stenosis (misshapen obstructed pulmonary valve), Atrial Septal Defect (Big ASD whole) and severe biventricular hypertrophic cardiomyopathy. By her first October she was in heart failure, by her six month heart birthday her wish for a early birthday party was hosted by Make-a-wish, by nine months we risked her life to fix the hole and remove the bad valve to buy her a little more time. They gave her two years. By her first birthday she could finally sit up for a few seconds without turning blue, by her eighth birthday she amazed the doctors that her heart was no longer thick. A miracle, but we know it can turn around at anytime. Her heart is still enlarged and the missing value and another valve are causing concern. 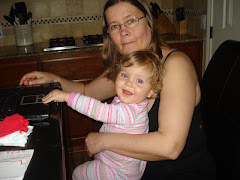 Last years visit brought the news the doctor thinks he may have to do surgery again, but the first surgery she almost died do to plural effusions, and once she did it once, it will happen again. We are praying her heart has not worsened, for another miracle. Please pray for good news for Becca, she is scared, and her Mother does not know what to do but ask others to pray with me and Becca. 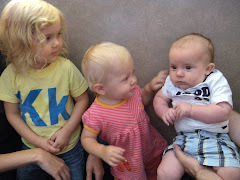 Today Kristy posted on her blog her humorist post on the Top 10 Ways to Pass Time in the ICU her first post after ending up there this summer. This post is a our triple miracle ...Thank you blessing. This Thanksgiving season we are blessed to have another year with Miss Becca and the crisis and miracles of Mahala joining the family and Kristy's Septic Shock episode two weeks after Mahala's birth. For those who do not know the events of this past summer, read the story of Kristy's uterine rupture and the miracle survival of the baby and Kristy's bout of septic shock which almost cost her her life. This Thanksgiving season we have much to be thankful for. Twenty years with Becca, who has defied the odds. Tuesday Morning has the life-size 25 inch Gotz Baby Dolls on sale right now for $49.99 (originally $299.99). 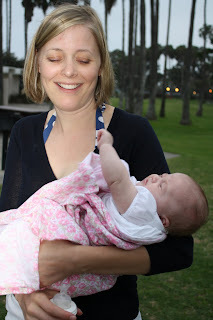 I bought my girls when they were small, a life-size doll and recycled her newborn clothing for dressing their baby in their own hand-me-downs and used their baby equipment for their babies. Madame Alexander Collectible dolls are 50% off or more at Tuesday Mornings right now. There are over 60+ dolls available at bargain prices. 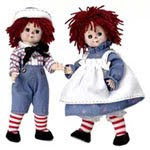 This adorable Raggedy Ann and Andy for $69.99 (originally $140.00). I grew up wanting to collect Madame Alexanders and bought one for each for my daughters, but could rarely afford them. I bought Miss Kasja her first baby Alexander last year and will start for Miss Mahala. The shipping is a bit high, but the savings are great. 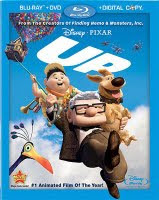 Becca's Movie Best Deal--Up and Monsters Inc.
Print your Coupons for Up and Monsters Inc. Check out the Rebates for these deals at Couponing To Disney's Blog. We had posted the Target price matching deal, but others are having trouble getting it to work, anyway Becca always likes a NEW DS game and as always the current Disney stuffed animal to snuggle and watch the movie with on her bad days. 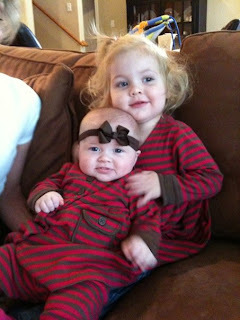 I have to share the newest picture of my granddaughters Kasja and Mahala. I've been having fun picking up the latest toys with all the toy deals out right now for the two little ladies in my life. I discovered a couple of Sony PSP games on clearance. The Target Toy Book has a coupon for $10/2 games and the coupon worked on the clearance games. We hit Target last night and picked up WII games for the girls and our older kids as we gave everyone Wii systems for Christmas last year. Combining the Buy Two Get One FREE deals with $10/2 Target Wii Game Coupons that part of my shopping is now done. I bought in separate transactions in order to get the higher value games free. 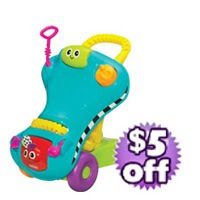 I found the these Playskool toys on Walmart Rollback today for $17.00 I used my Hasbro Playskool coupons to pay only $12.00 each. Bright Neutral Colors and the Girls Pink and Purple for my little ladies from Nana. 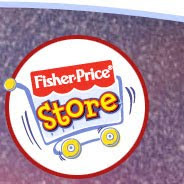 The Fisher Price Store has FREE Shipping now through November 11. Use Key Code: FREEG No minimum order. I have been eyeing the Little People Thanksgiving Sets but the shipping has always made me think twice. I was pleasantly surprised to discover that the Mayflower set was on sale for $19.99 instead of $24.99, the Pilgrims Thanksgiving Celebration Set was regular priced at $17.00. I wanted to add these for our family celebrations for the little ones when they visit Nana's at Thanksgiving. My total: $36.99 plus tax with FREE Shipping. The Almay Register Rewards and the B1G1 50% off weekly offer are combining to make some fabulous bargains right now! All Almay cosmetics are currently ringing up buy one get one free instead of buy one get one 50% off, so that makes the mascara deal free, plus you can score a moneymaker on foundation, eye shadow, lip gloss or mascara better than free. Thanks to Deal Seeking Mom for posting this deal. Pay $9.99 after BOGO sale and get back $15 in RRs — money maker!